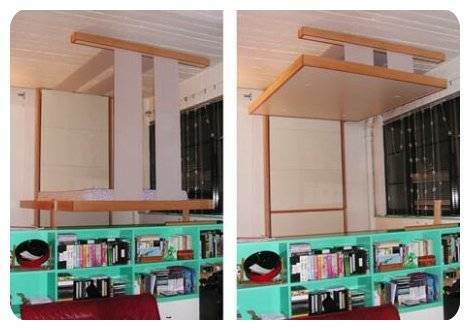 BedUp is a good, practical way to free some space in your home. 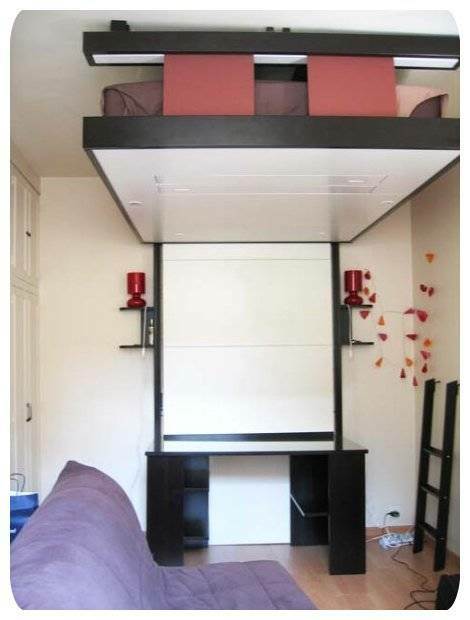 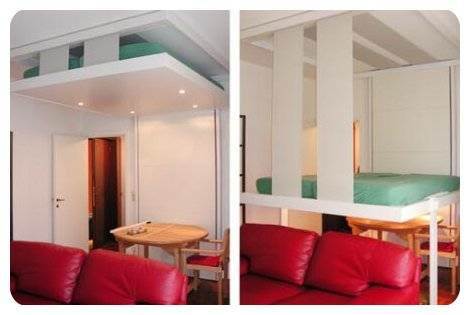 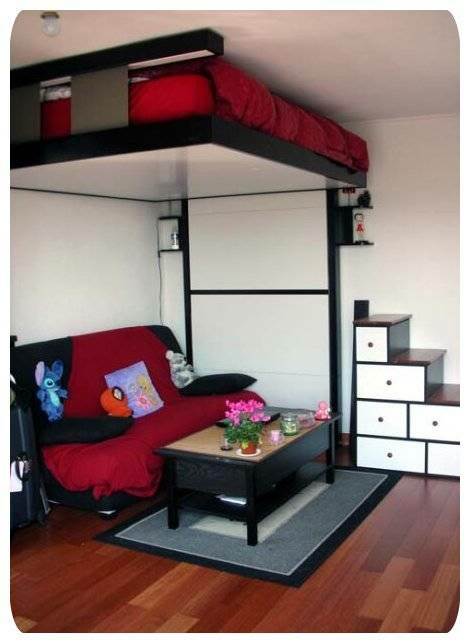 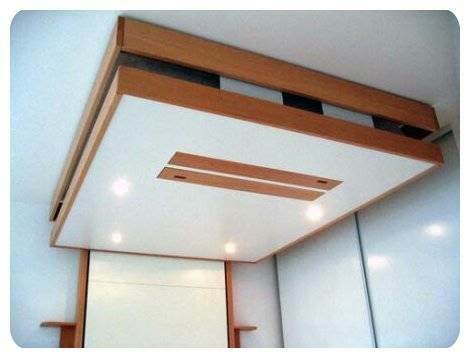 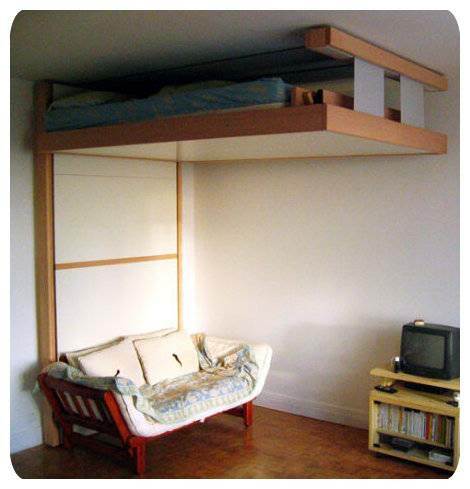 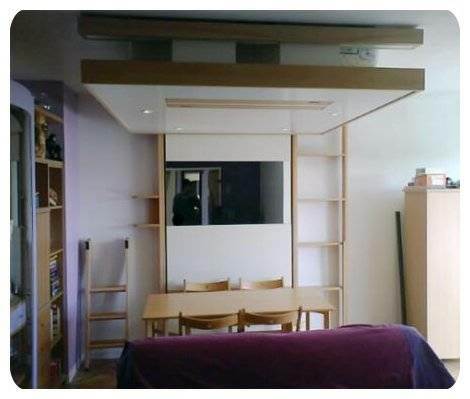 When you need the bed – just lower it from the ceiling and when you dont you can return it to the ceiling. 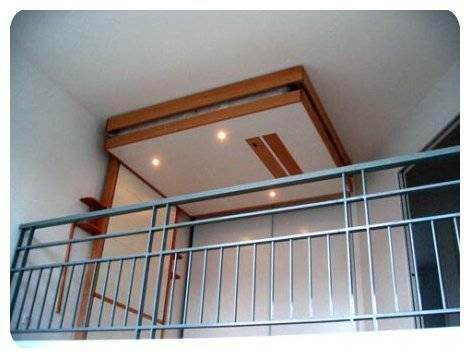 BadUp is easy to use, I mean getting it up and down, theres only one button. 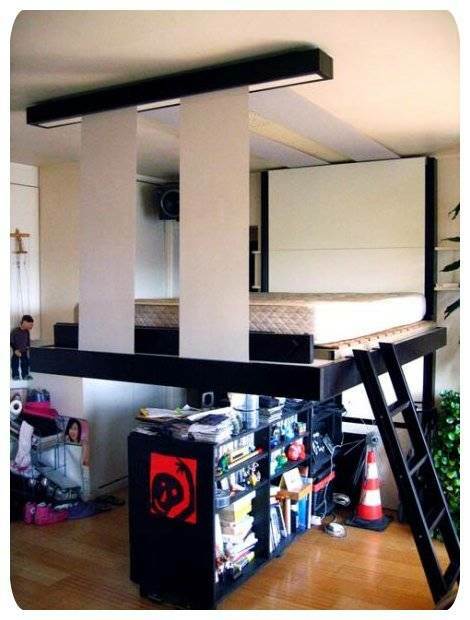 You can stop the bed at any level. 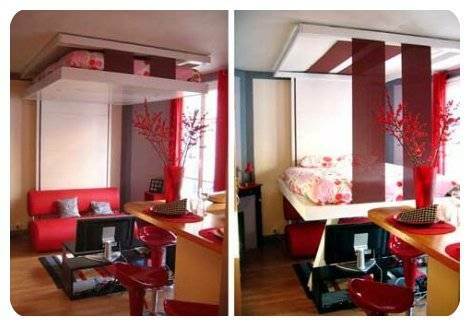 There are also lamps in the bottom of the bed so when you are not using it it becomes a ceiling with lamps. 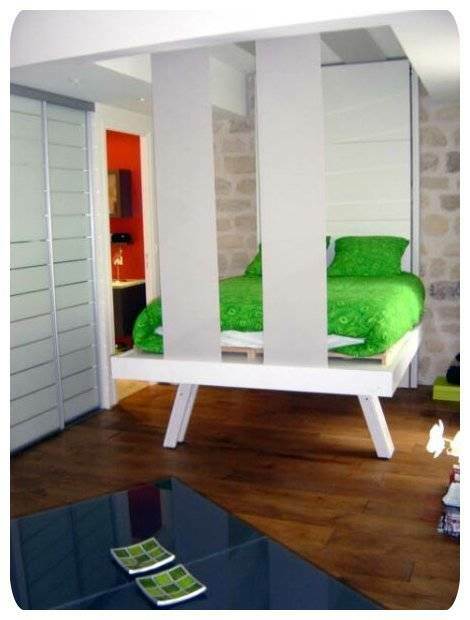 BedUp costs from $4,300 not the cheapest bed in the word but definitely the most practical.